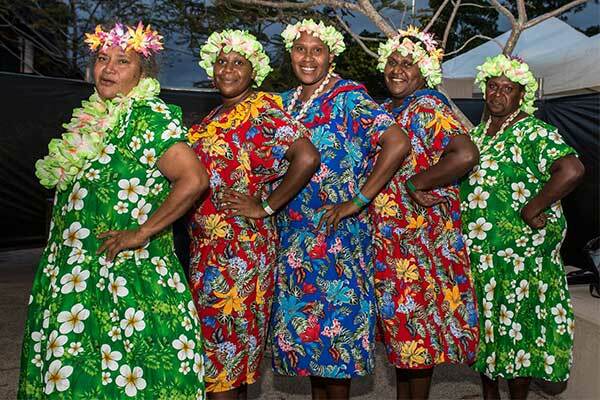 If you’re planning a trip to Cairns, make it a tropical holiday full of art, culture and fun. 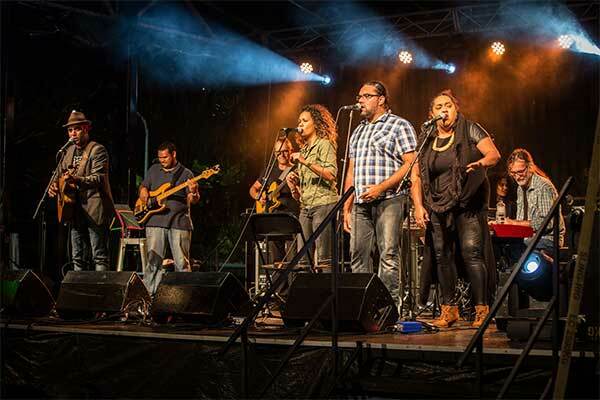 The Cairns Indigenous Art Fair celebrates some of the finest indigenous artists and art forms with three days of colourful festivities. As the opening event of Cairns Festival, it’s a must-see for anyone who appreciates art. 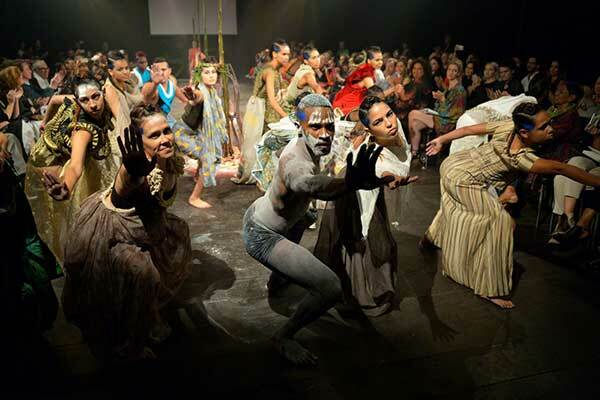 The Cairns Indigenous Art Fair is a not-for-profit platform for Aboriginal and Torres Strait Island artists to showcase their work in what is now Australia’s premier indigenous art fair. It’s a chance for you to see some of the most extraordinary and unique art in the world today and meet the artists behind it. You’ll rub shoulders with international art collectors and curators and, who knows, you might even beat them to a prized work of art! The 2016 CIAF Fashion Performance was such a popular visual extravaganza that it will be back bigger and brighter than ever this year! The fair will also feature the popular Big Talk One Fire and in-depth conversations with visual and performing artists. And if you’ve ever fancied yourself as a weaver, jewellery maker or lino printer, a range of adult workshops will let you test your skills! If music and dance are your thing, the art fair will be liberally sprinkled with concerts after the big opening night party. The jam-packed calendar of events continues with an academic symposium for the adults and a creative art station for the kids. There will even be family art activities for mum, dad and the kids to compare their latent talents in! 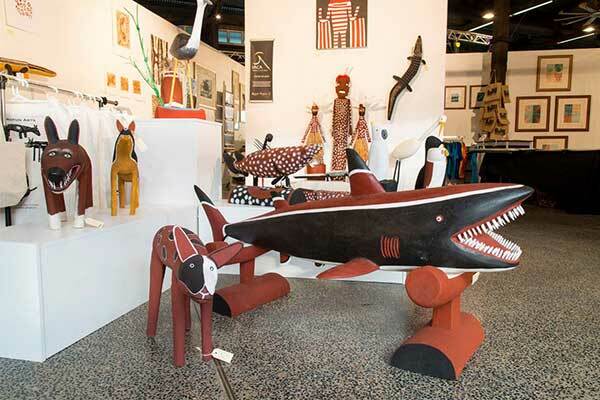 Last year the Cairns Indigenous Art Fair attracted 51,000 visitors. With buyers in attendance from some of the art world’s most prestigious institutions, it’s no wonder. The National Gallery of Australia, the Australian National Maritime Museum, the Queensland Art Gallery, and many others have purchased works of art from the fair. With an idyllic tropical setting surrounded by all the sights and sounds of Cairns, the art fair is the perfect way to begin or end your holiday in one of Australia’s most popular tourist destinations. While in Cairns for the art fair, you can add another renowned indigenous activity; the Kukuyalanji Dreamtime Walk. This spectacular guided walk takes you through lush tropical rainforest and a thriving sugar town before setting sail on a Daintree river cruise full of breathtaking scenery and ancient vegetation, not to mention crocodiles, snakes and striped possums! You’ll also be treated to a sumptuous barramundi lunch at Silky Oaks Lodge. For more information and bookings, visit the Cairns Tours website soon.